Welcome to the Webelos Dens! 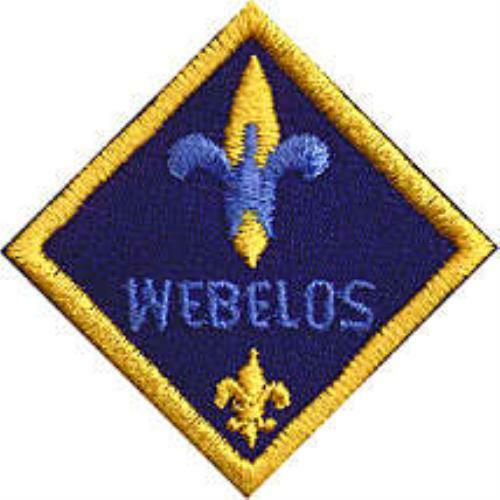 Webelos is a 20 month program for 4th and 5th grade boys to prepare to join a Boy Scout Troop while learning outdoor skills and participating in 14 "adventures", 5 core and 2 elective as a webelos scout, and 4 core and 3 elective as an arrow of light. A well-run group of Webelos is a gradual change from being an "adult-run" den to being a "boy-run" patrol ready to fit into a Boy Scout Troop. 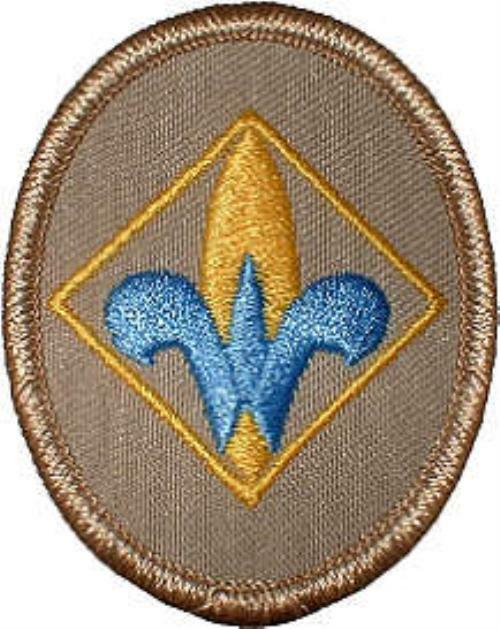 The Webelos program has two major milestones - the Webelos Badge to be earned at the 4th grade level (essentially an introduction to Boy Scouts) and the Arrow of Light to be earned in the 5th grade(essentially the Boy Scout "Scout" Badge requirements) The final part of Webelos is crossing over into a Boy Scout Troop selected individually by the Scout. Webelos conduct all activity badge activities as a den in order to develop the teamwork and leadership concepts that guide a Boy Scout patrol that is "boy-run". As a den, they also conduct several outings with area Boy Scout Troops that give them actual Boy Scout Troop experiences and an opportunity to evaluate a prospective troop to join. Hi Webelos and prospective Webelos! 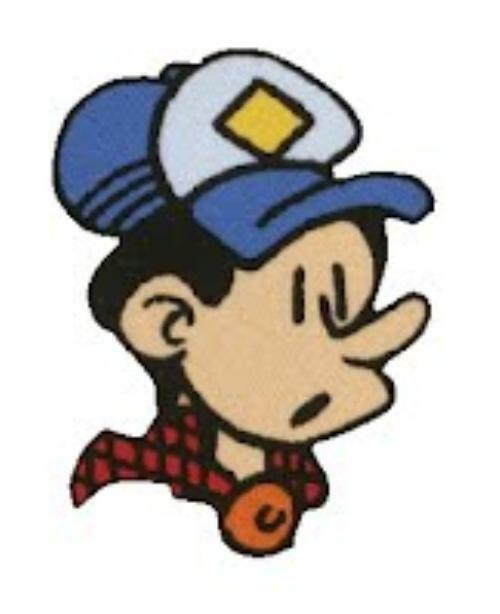 I am Joe Cadugan, the Den Leader for the second year WEBELOS, now called the Arrows of Light. I can be contacted at bjornolf@yahoo.com. Please feel free to send me an email with your questions and concerns and I will DO MY BEST to provide you the right answer in a timely manner. We are always looking for new and transfer Scouts so please don't hesitate to come visit and give it a try. The Bulldog Den is a group of 5th grade boys. When you have registered as a new Webelos and have received and accepted your invitation to join Scoutlander, be sure to contact me using the Broadcast System. That way we can at least meet electronically and you can provide input and resources (for example, "my dad has a workshop where we can build things") that can become part of our program plan. We're active all year round and have been participating in Pack Summertime Activities as well as camping as a Den - something only Webelos can do in the Cub Scout program. Thanks and I look forward to seeing you at our next outing! 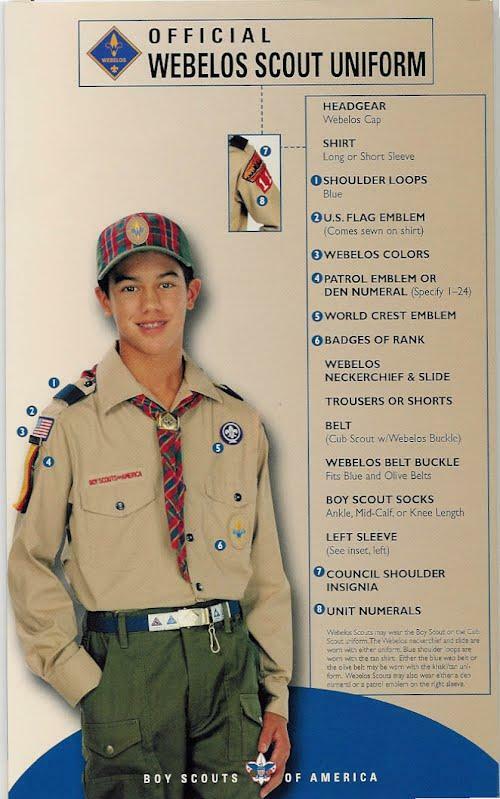 *You may continue to wear the blue Cub Scout uniform if it still fits. You can change over individually to the khaki and green uniform any time you wish.